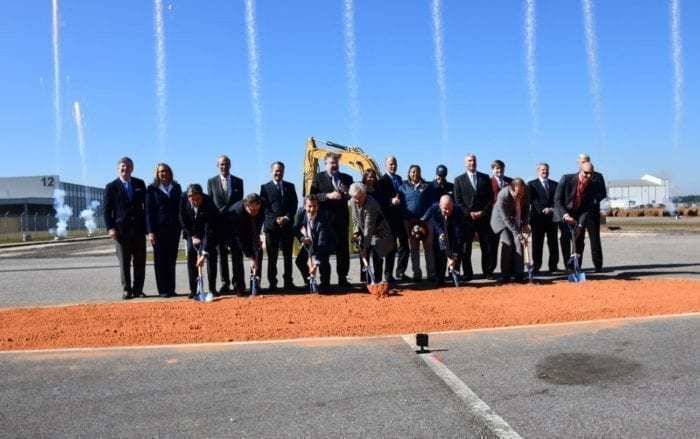 Airbus started construction of its new assembly plant at the Mobile Aeroplex at Brookley in Mobile, Alabama on Wednesday. The facility will be the home of the Airbus A220-300. Construction of Airbus’ new plant is set to begin. Photo: Airbus. To date, Airbus has received over 500 orders for aircraft of its A220 family, most of them for the A220-300. Delta Airlines is currently the biggest A220 customer with 90 orders followed by JetBlue and Moxy with 60 orders each. As Simple Flying reported, Moxy is David Neeleman’s newest project. The airline will offer point-to-point service between secondary airports and is expected to launch operations in 2021. It will have an all-A220 fleet. Additionally, AirBaltic is planning on replacing all its existing aircraft with Airbus A220s. As we can see, the Airbus A220 has been popular among several carriers. What are the reasons for its popularity? And, why can we consider it a game-changing plane? The A220 features a spacious cabin. Moreover, the aircraft is very fuel efficient. Fuel efficiency is important to airlines due to the associated cost savings. Airbus reduced the weight of the aircraft by using advanced composites and advanced aluminum for its construction. The reduction in weight led to a reduction in fuel burn, and, hence, better fuel efficiency. Additionally, its Pratt & Whitney PW1500G engines and optimized aerodynamics further contribute to its fuel efficiency. The aircraft has a range of up to 3,700 miles. In addition, it has obtained the 180-minute ETOPS (Extended-range Twin-engine Operational Performance Standards) approval from Transport Canada recently. This certification allows the A220 to operate on routes over water for an extended period of time. As a result, it can now fly from the West Coast of the United States to Hawaii and from New York to London. Its engines have also obtained the 180-minute ETOPS approval from the FAA; however, the FAA’s ETOPS approval for the airframe is still pending. The Airbus A220-100 is the smallest aircraft in the current Airbus product line. Photo: Airbus. Overall we can say that the aircraft is a game changer because it revolutionized the narrow-body aircraft. The A220 combines passenger comfort with low operating costs and a long range. It is the ideal choice for airlines that want to serve smaller markets and introduce new routes they could not offer before. What is your opinion? 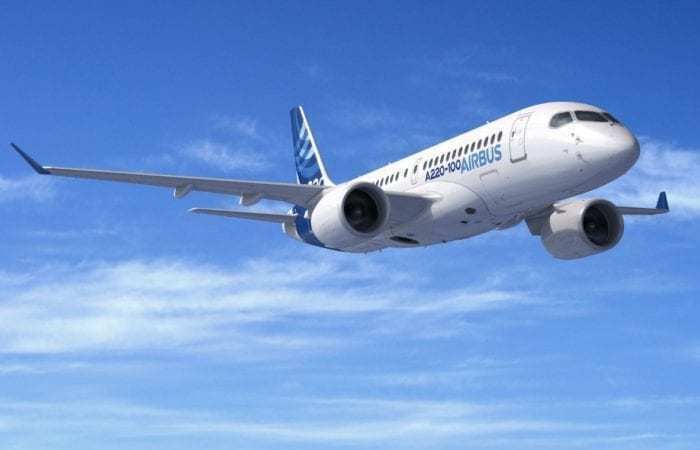 Why is the A220 a game changer? Overall we can say that the aircraft is a game changer because it revolutionized the narrow-body aircraft. … Is this your opinion? If so can you substantiate this? otherwise it seems like you are part of Airbus pr machine. Bombardier , not Airbus. Who created the airplane? It’s is Airbus now, Boeing screwed themselves, eh? Boeing wants what any other company wants – a monopoly. If they can’t have a monopoly (at least not with Airbus around) then they’ll settle for second best – a duopoly. It’s not so much about the A220 as it is about the manufacturer. Boeing did not want Bombardier in the larger single-aisle market. Not sure what Boeing and their lobbyists in Wash DC have planned for Comac and Irkut, but it can’t be good. Boeing held Bombardier to the same rules they are held to in the WTO. The Province of Quebec put up massive CDN to prop up the C Series development. If Boeing had not dropped the 717 and its replacement, they would have had something to compete with in the 100-140 seat market instead of kissing up to Embraer. Its no joke to see Boeing got lazy with the market underneath the 737 Max. The C Series (Airbus 220) is a really good plane, well developed and needed. Always wonder about the range indexed with passenger count and payload. Many full-service scheduled airlines have been putting the max configuration on their aircraft. Curious if a 135 seat, fully loaded A220-100 could come back from London (LHR) to Toronto (YYZ), in the winter time, without a fuel-stop in Gander. I knew this was an outstanding bird when Boeing tried to kill it. Too bad Bombadier panicked though and gave it up to Airbus. No wonder Boeing tried to kill it. They saw the writing on the wall. Too bad Bombadier panicked and gave it up to Airbus though. Any airplane that scares Boeing so much has got to be an absolutely amazing aircraft. So happy at its success. Wish Bombadier had not panicked though and gave it up to Airbus. Yes, its too bad, however Boeing whined to the US Trade authorities about “unfair subsidization” by Quebec and Ottawa. As if Boeing is not subsidized immensely. Typical US style bargaining. That is why they are building the new plant in the US so that they can build it there and not run into Boeing lobbying. Another superb plane designed in Canada. Boeing is making some really terrible decisions these days like the MAX. I hope they get raked over the coals for it, howeve Trump’s buddy is the CEO, so that probably won’t happen. Fuel Efficiency is great for the airline’s operating costs, however if it does not reflect lower air fares who cares. What are the performance specifications for this aircraft ? 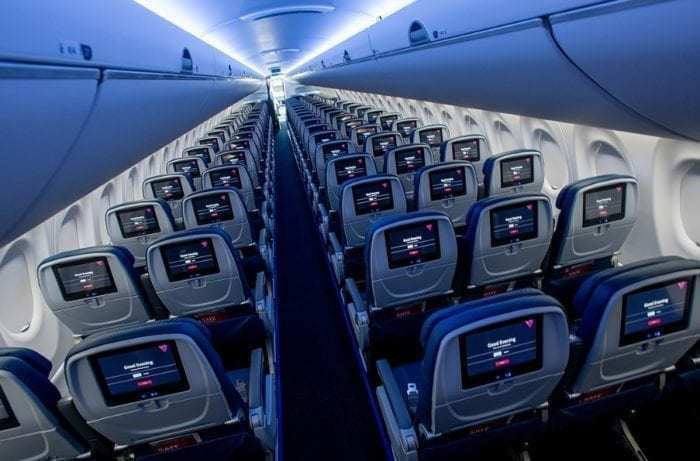 More comfortable seats is not a measure of aircraft safety nor performance. In general aircraft size can be a means of increasing the net profit for an air carrier, but does not necessarily translate to lower air fares or safety as well. Is an A380 a better aircraft than a 747-400 ? An A380 taking off at Maximum Gross Weight at an airport with a Pressure Density Altitude of 5,000 Ft. and ambient temperature of 69 Degrees Fahrenheit, what would be its Maximum Rate of Climb. Airbus is only selling the CSeries for fares below the cost of production and consequently is not making a profit. The game changer is that the designers put passenger comfort up front. Picture this from one of my flights. A three seat row where I was lucky enough to drow the middle seat. When my seat mates arrived they looked like linemen from an American football team, not the young passes I was hoping for. There arms were like my thighs. So, hurray for wider seats. I will now pay more attention to the planes make and model. boeing seems to think bigger is better. over the years most of the flights i took were 3/4 filled or less several times cabin staff outnumbered passangers [most flights non hub type] so in there infinate wisdom they stopped producing earlier 737 to make them bigger. why unused seats are dead revenue not including increased labor costs for staff. bigger 737 et al are ok for hub-hub flights but thats about it ..the 220series will be a lot more effcant over all . Agree with the Embraer comment above. Boeing is taking control of the E175, E190 and the E195 program. There are 1500, E175 in service today. The E195 E2 has no middle seats, Huge windows, and a full size luggage bins. Boeing will have a plane to match the A220 in Dec 2019.